Between The Prides: Meet Authors Delvon Johnson and J. Omarr At Chi Chiz! My good friends and fellow authors Delvon Johnson, writer of the critically-acclaimed novel, Love Yourself First, and J. Omarr, author of Masai and Justus, are coming to famous gay hangout Chi Chiz for a "Meet The Authors" book signing this Saturday. 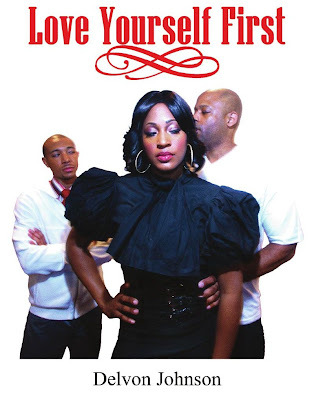 After you've visited Harlem Pride, come down to the Village to meet Delvon and the cast of Love Yourself First: The Series, currently being developed for TV on the EMBRACE Network. Love Yourself First has enjoyed excellent reviews, and there are sequels on the way. It's Pride Week in NYC, and a visit to see Delvon and J. Omarr at Chi-Chiz is part of the rainbow of fun! The signing begins at 3 PM, this Saturday, June 26th. Chi-Chiz is on Greenwich Village's notorious Christopher Street, between Greenwich and Hudson. The PATH train stops right next door, or take a (1) train to Christopher Street. Fabulous! 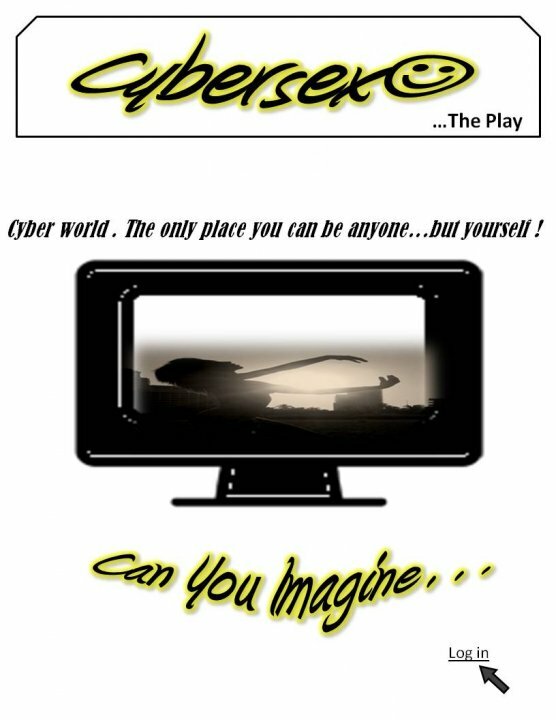 CyberSex, a unique conceptual theatrical experience, will be showcased in a one-night only presentation at Broadway's Producers' Club. Directed by Jason Duvall Hunter and Bill Johnson, from Hunter's script, associate produced by Nathan James, and choroegraphed by FranCisco Vegas, this provocative stage play stars Harmonica Sunbeam, the irrepressible DJ Baker, and Alton Alburo. In Cyberspace, you can be anyone you want, except yourself! Tickets go on sale soon, stay tuned. Here's a fresh new look at LGBT film and television, at a time when exciting new developments are occurring in these fields. CineMatiQ Magazine has officially launched with the Summer Online Preview Issue, featuring in-depth articles and interviews with LGBT luminaries such as filmmaker Rodney Evans, Roger Omeus, director of Finding Me: Truth, and DJ Baker, host of the upcoming late-night TV talk show Da Doo-Dirty Show LIVE. There's also an article by me, about gay marriage and the silver screen. 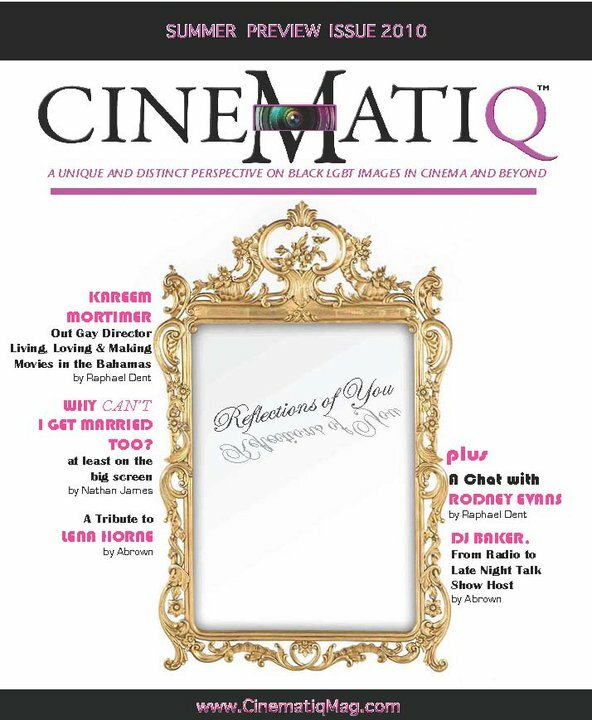 Edited and published by Queer Black Cinema's Angel Brown, CineMatiQ is sure to be the go-to journal of all things on the big and small LGBT screens! WATCH: 3LWTV's Lonnell Williams Visits The EMBRACE Family! 3LWTV's Lonnell Williams came to Brooklyn one rainy Sunday to meet and interview the EMBRACE TV Family. Watch the video and discover some of the people and programs of the new LGBT network, coming to cable TV on October 10! A brand-new cable television network for and about the Lesbian, Gay, Bisexual, Transgender, Queer, Questioning and Intersexed (LGBTQQI) community is coming this fall, and things will never be the same! 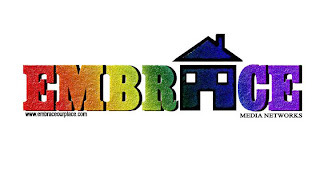 EMBRACE TV will feature all-original programming, a wide range of shows for everyone from ages 16-60, and will show our community to America, and the world, as we really are. Created by CEO Seanmichael Rodgers, the new network will launch all across the United States on October 10. Among the 26 shows in the starting lineup are Queendom, starring RuPaul's Drag Race winner BeBe Zahara Benet, DeMarco Majors' Living Your Truth On EMBRACE (LYTE), the late-night version of DJ Baker's popular Da Doo-Dirty Show, and the first-ever LGBT political roundup on television, EMBRACE Politics with Will & Nate (EPWN), which I host with Wilfredo Florentino. Since late in December, the EMBRACE TV Family has been working extra-hard to make the new network the place on television for LGBTs and their allies. More than just a network, CEO Rodgers envisions EMBRACE as a community resource, in a time when the LGBT community faces profound life issues, ranging from coming out, to marriage, to HIV/AIDS, and serving in our country's armed forces, just to name a few. Long foreclosed from meaningful participation in contemporary American media, the LGBT community now has a new voice and face on TV. It's EMBRACE...Our Place!